BPS Level 2 Personality Test User Training from our Psychometric Assessment at Work Course covers subjects important in the competent understanding and practical use of personality assessments at work. Successful students will be able to apply to the British Psychological Society for the Level 2 Personality Test User Qualification. Now, being in possession of the Level 1, Level 2 Ability and Level 2 Personality Test User Qualifications, you will also become eligible for the Euro Test User Certificate of the European Federation of Psychologists’ Associations (EFPA). With more than 20 years of experience in teaching this course face-to-face in many different parts of the world from the UK to the UAE, Australia, Singapore, Hong Kong, China, Malaysia and more, our award-winning Chartered Psychologist Facilitator is pleased to be able to offer the same course online. Over the years of offering this course, we have been motivated by the kind feedback received from our students and firmly believe we have a great option for quality training that highlights our passion for the competent use of psychometric assessments. This course is for those who have already completed both the BPS Level 1 Assistant Test User training and the BPS Level 2 Ability Test User training and who wish to be able to interpret and provide useful feedback about personality assessment results to respondents and decision-makers. Upon successful completion of the course, students become eligible for the BPS Level 2 Personality Test User Qualification as well as the EFPA Euro Test User Certification. There are a number of test publishers who are mainly concerned with getting paid and less concerned about their clients being appropriately trained. Likewise, a large number of test users either see training as a troublesome obstacle to test access or simply don’t understand the need to undergo training. Psychometric tests are useful tools – they provide a lot of information about an individual in a short period of time and present the information in a structured manner. This makes the entire process more scientific. 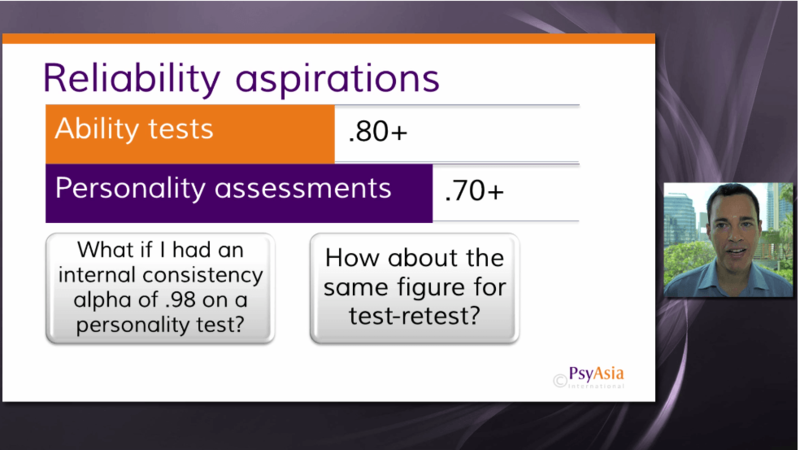 However, if the people using tests and making decisions on the basis of test results do not fully understand the theory behind testing, how different scoring systems work, how much confidence they can have in test scores, how to choose the best psychometric tests, how to ensure decision-makers are aware of the pros and cons of testing and so on, the benefits of using psychometric tests can be totally negated. This course therefore ensures that those using psychometric personality assessments can choose the best tools for their purpose in the first place, can fully understand issues of test reliability, validity and test score confidence, know what is and what is not assessed and predicted by these tests and know how to professionally and competently feedback and use the information contained in personality assessment reports. Don’t be like your competitors or colleagues who are using personality assessments without training. They may be making incorrect decisions about people and not even realise it. This will create problems for the organisation and even legally. Use personality assessments confidently and competently and prove your competence with this internationally recognised qualification. The course is divided into 5 Modules and the video play times are listed below, along with estimated time to complete assessments. Keep in mind that everybody is different and some will pause the video and take notes, whilst others will watch a video outright. You may need substantially more time than noted below if you prefer to take your time learning. Those on our Independent Mode of Learning will have 90-days to complete this Level of the course, whilst those in our Supported Intakes will have 5 weeks of training plus 2 further weeks to finalise assessments. Once work has been marked, there is one further assessment that needs to be carried out and all students are given 30 days for that. The course was indeed an eye opener for me. There’s so much to learn and I must add that Dr. Graham is indeed excellent. He is very concerned and helpful, ensuring high standards of understanding, even if he has to spend extra time and effort. Indeed, fortunate to have attended. Intensive, and Graham did his level best to make complex things reachable and understandable. Very beneficial for my work. Trainer is great. Thanks. Course was excellent in pushing through the details of professional application of psychological principles to workplace settings. 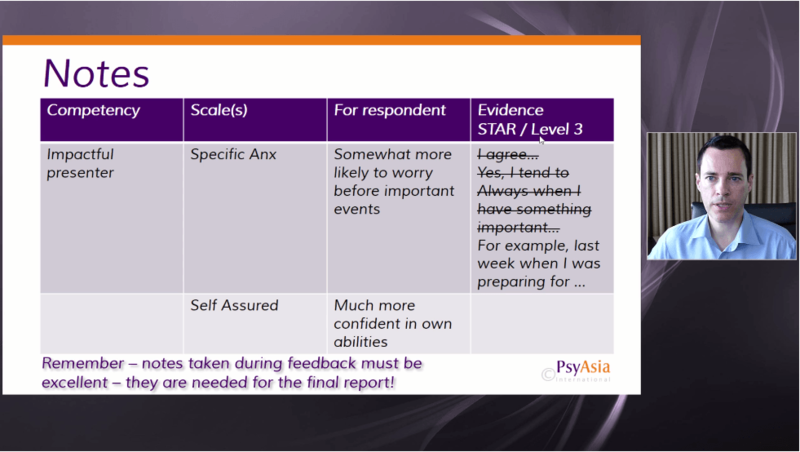 Very useful for understanding about the essence of psychometric assessment and gaining competence in assessing psychometric tools. This inspired me through a lot of discussions on top of the very informative course content. I think Dr. Graham Tyler is a fantastic tutor who made the course worth attending. I found it useful and it enhanced my knowledge of psychometric testing and empowered me to integrate psychometrics into my job function. Graham is a clear and knowledgeable instructor. The course is well planned and delivered. Very good and relevant especially in my line of leadership assessment and development. I very much respect the professionalism of Graham…and BPS’s high standards… Great topics, worth the hard work, now I feel very confident in advising our clients in the selection and use of psychometric tests for assessment purposes. Simply send us an email and we’ll send you all the reviews we have!